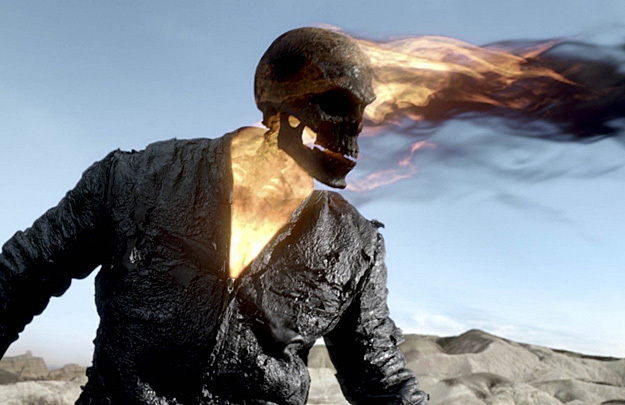 Other than trailer screenshots, we haven’t seen many official stills from Sony’s Ghost Rider Spirit of Vengeance here domestically, but now, thanks to Kinopoisk.ru, there’s a whole bunch that you can check out by clicking the image below! Opening in 3D and 2D theaters on February 17, the Mark Neveldine and Brian Taylor-directed film stars Nicolas Cage, Fergus Riordan, Ciaran Hinds, Violante Placido, Idris Elba and Johnny Whitworth. In this gritty new vision for the character, Johnny is still struggling with his curse as the devil’s bounty hunter – but he may risk everything as he teams up with the leader of a group of rebel monks to save a young boy from the devil… and possibly rid himself of his curse forever.